We are in the final stretch now, before Hanukkah and Christmas. 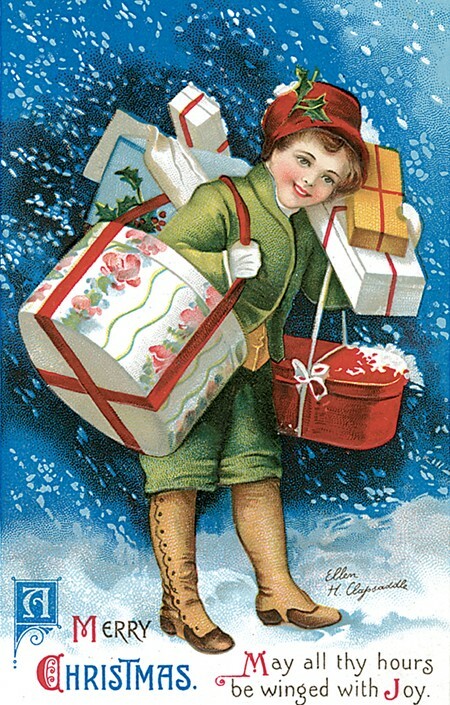 Many of us are running on adrenaline as we race to get everything bought, wrapped, cooked, served, addressed and mailed. We wonder sometimes why we’re making ourselves crazy for festivities that are over so quickly. We do it because…well, we’ve always done it, or we’ve let it get out of control. We do it for our families. We do it for the kids. And possibly, we’ll be able to stop and remember the true meaning of the holidays. Yes, the holidays are about family, no doubt about it. Friends are often pushed aside (family comes first). I remember coming home for Christmas or Thanksgiving and spending more time with my friends than with family. Friends never seemed to make demands, or expect presents (although they were infinitely easier to buy for). We could just relax and catch up and enjoy ourselves. I loved the first day back at school after Christmas break, because we’d hug and squeal as if we hadn’t seen each other in decades, when in fact it had been less than two weeks. Now some of those friends are gone; one even died during the holidays. I knew she was dying, but it was still a shock. What I miss this time of year about my friends who have died is the absence of pressure: pressure to give them the perfect gift, to make sure everyone gets along all the time, to pretend we’re in the middle of a Hollywood movie. I miss those friends, no matter how infrequently we saw each other. I miss being able to call them up and say “let’s meet for lunch” or “I can’t wait to give you your present”. I miss catching up and solving the problems of the world (or just our love lives). I miss knowing we didn’t have to “behave”. I miss their friendship and I miss their love. And after all, that is what the season is all about. My best friend,Judy has been gone for 18 years but her spirit is still very much alive in my heart. I miss her very much,especially at Christmas since she was such a big part of my Christmas' past. your term " the absense of pressure" really hits home for me. How bittersweet the season is~ though I feel her a absense deeply,I feel so grateful to have shared a beautiful friendship for so many years. And thanks Viki for giving me a place to talk about it. You're welcome, as always, Kathy!